How the Braves construct their lineup will depend on who is acquired or selected to fill their outfield void. 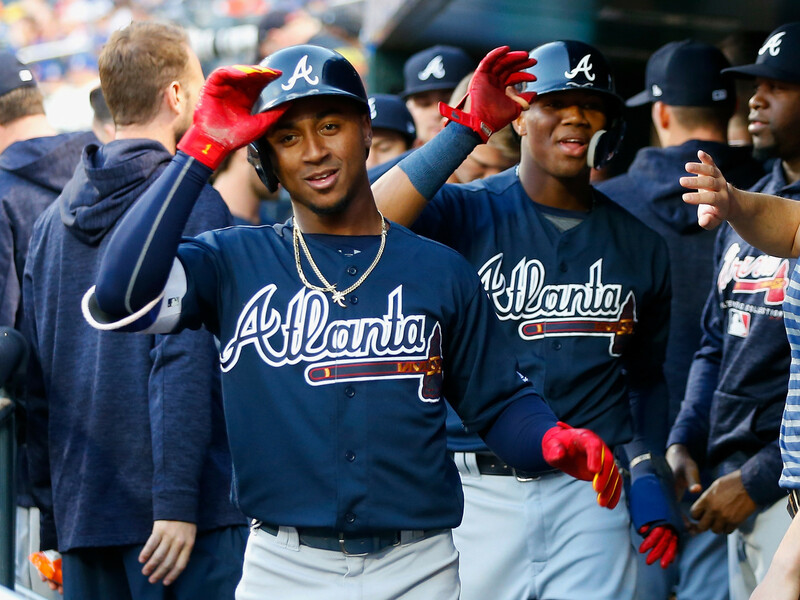 But Ronald Acuna Jr. admits his preference is to remain at the top of Atlanta’s lineup. Acuna’s rise toward capturing the National League Rookie of the Year Award began on July 20, when he moved to the leadoff spot and proceeded to hit .322 with 19 homers and a 1.028 OPS over the 68 games that followed. The 20-year-old phenom’s second-half success served as one of the primary reasons Atlanta won the NL East. As things currently stand, the Braves have the enviable option to begin their lineup with three MVP-caliber players — Acuna, Josh Donaldson and Freddie Freeman. But the current roster lacks an obvious candidate for the cleanup spot. While the Braves managed to win the division with Nick Markakis as their cleanup hitter last year, there’s a desire to add an outfielder with more power potential. If the Braves don’t make this addition, there’s a chance they could move Ender Inciarte to the leadoff spot and move Acuna down to the fourth spot.